It’s no secret that frequent ingestion of sugary drinks is bad for your health. According to a publication from the Harvard T.H. Chan School of Public Health, people who drink soda regularly (once a day) increase their chances of developing Type 2 diabetes and run a higher risk of suffering a heart attack, as compared to those who do not consume soft drinks and other such beverages. But that’s not all. Sugary drinks can also be detrimental to your teeth, provided that you drink them often and fail to take proper care of your teeth — meaning brushing and flossing daily. Dr. Robert Beaglehole, a notable “anti-sugar lobbyist,” is urging parents to avoid giving their children sugary drinks and snacks. This outcry comes after Beaglehole had to remove 11 teeth from the mouth of a 3-year-old whose parents reportedly put Coca-Cola in his sippy cup. 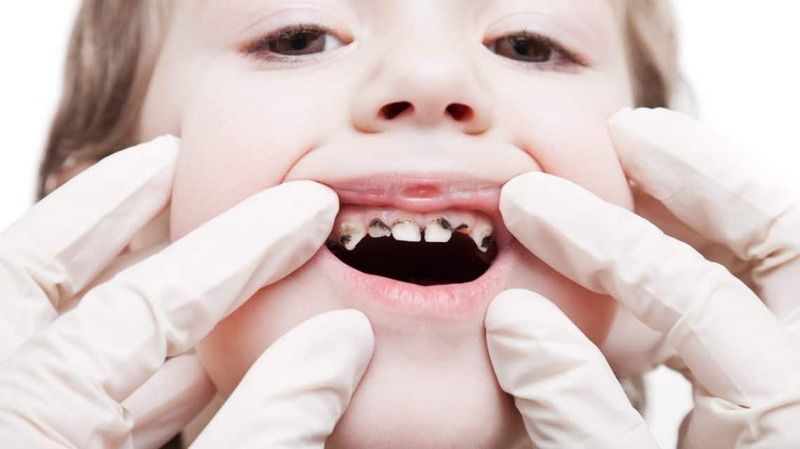 According to Stuff, a New Zealand news site, roughly 35,000 children under the age of 12 have teeth removed as a result of rotting — largely because of soda and sugary snacks. In September of last year, the New Zealand Ministry of Health called for a ban on sugary drinks across the district health boards, reports the Otago Daily Times. Beaglehole was a major proponent in the decision, personally speaking with the heads of all 20 districts about why the ban should be implemented. Beaglehole reportedly advocated the ban after he had pulled 56 rotten teeth from four different children, and then saw a Coca-Cola van on the property shortly thereafter. When you consume soda, the sugar combines with the bacteria in your mouth and begins to slowly erode the teeth, according to WDA. In moderation, sugary drinks may be fine, but frequent consumption will have major consequences.